Explore all the fun, fine weather, and festivities of Rollins' most beloved tradition. Re-live all the foxy fun and festivities from Fox Day! 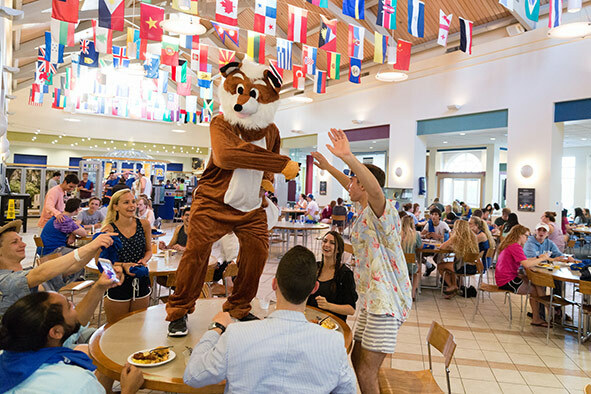 Fox Day is an annual tradition established by Rollins’ 10th president, Hugh McKean, in 1956. Each spring, on a day deemed “too pretty to have class,” the president cancels all classes for the Colleges of Arts & Sciences and Professional Studies, providing undergraduate students with a surprise day off. Learn more about the 60-year history of Fox Day, from the origins of the fox to the triumphant return of Fox Day in the late ’70s.